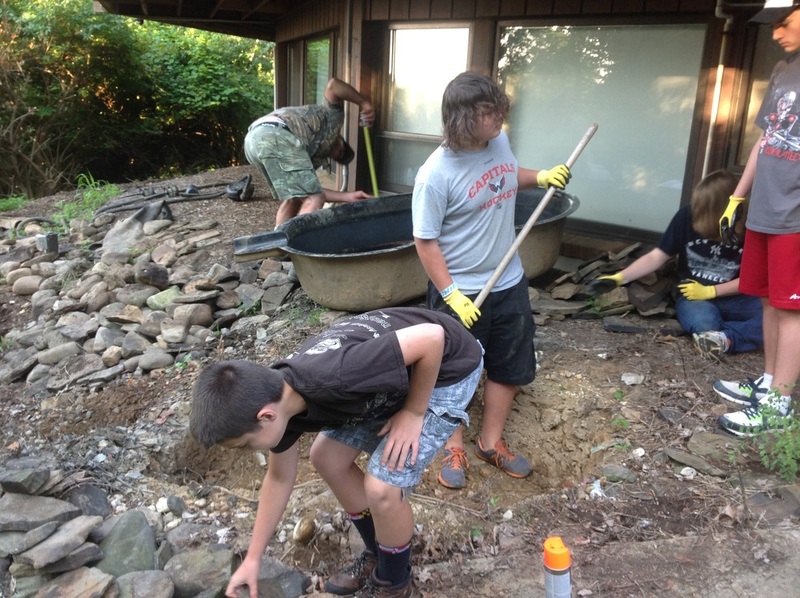 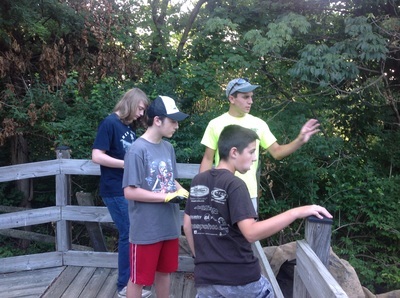 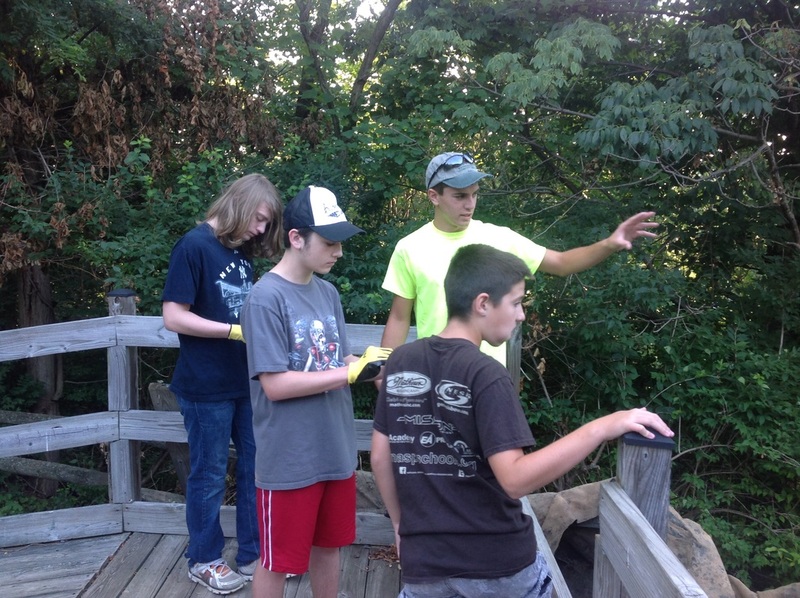 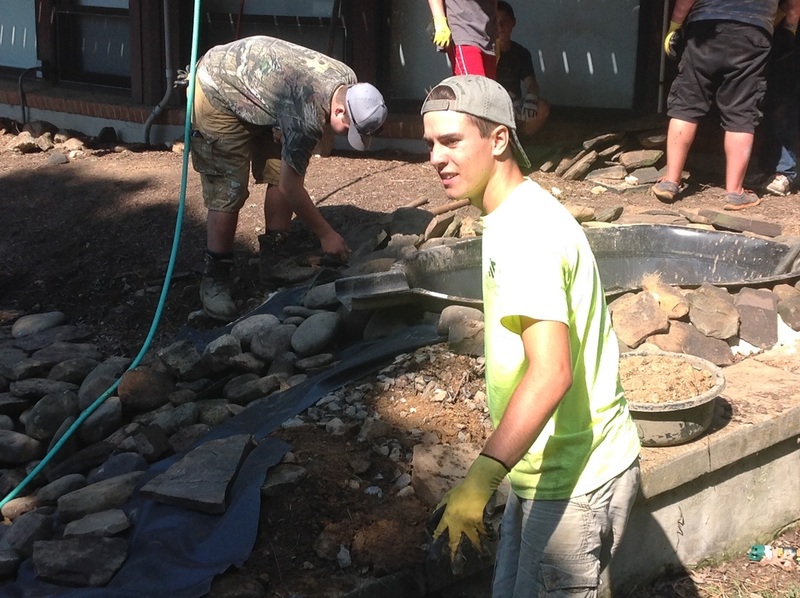 Opportunities for Eagle Scouts to complete their projects are always available at Claud E. Kitchens Outdoor School at Fairview! 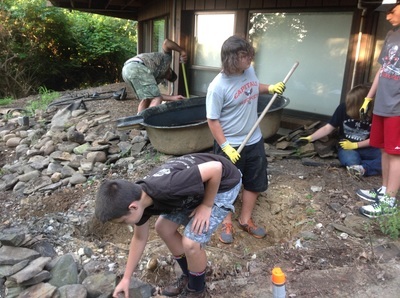 Please contact the Head Teacher at Fairview if you are interested in completing your project. 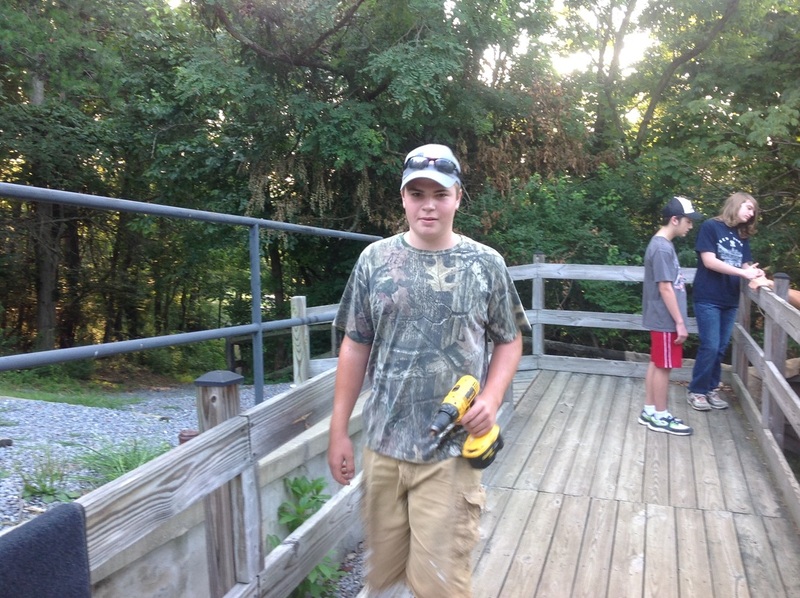 Examples of previous Eagle Scout projects completed on site include a wheelchair accessible ramp leading out of our Roundhouse and a Chestnut Tree Interpretive Pavilion. 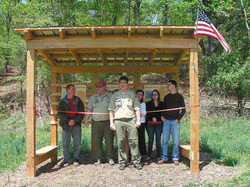 We look forward to working with you as you reach for this milestone in your scouting career! 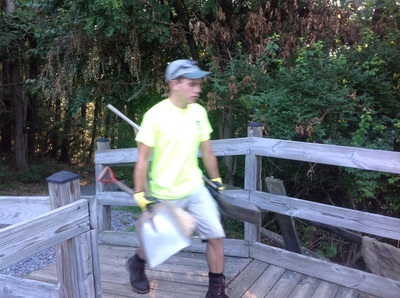 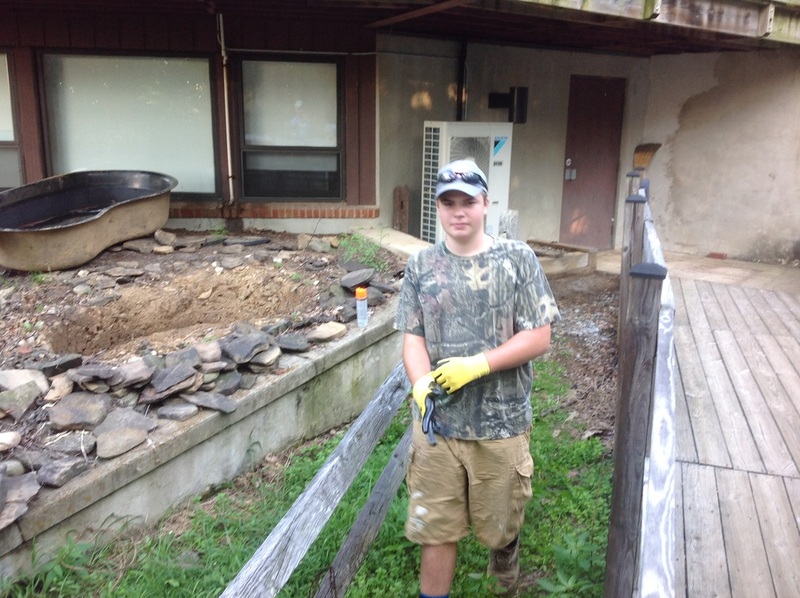 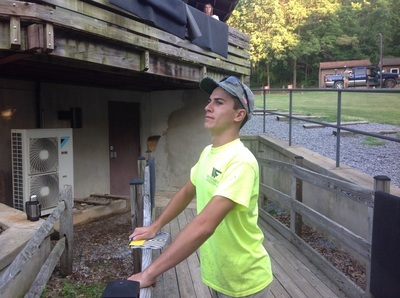 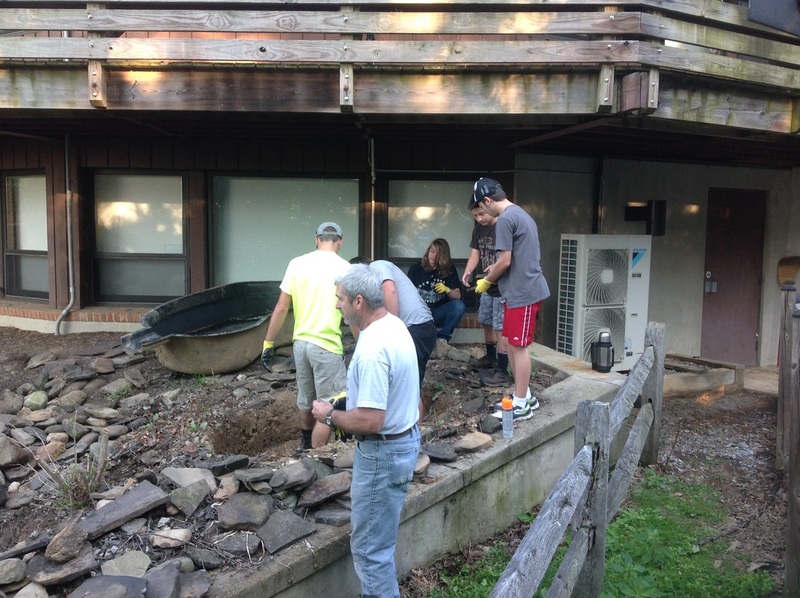 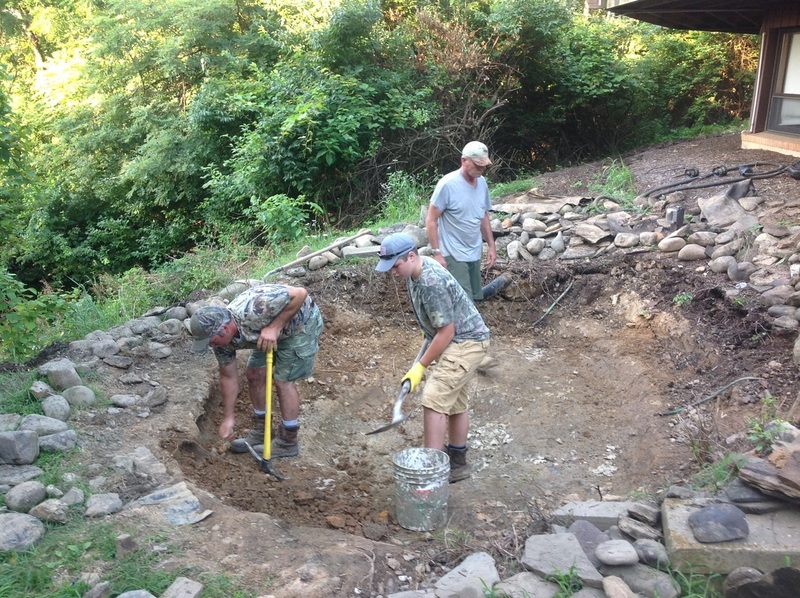 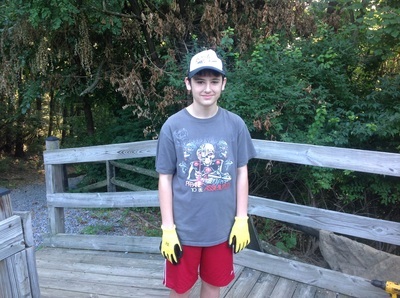 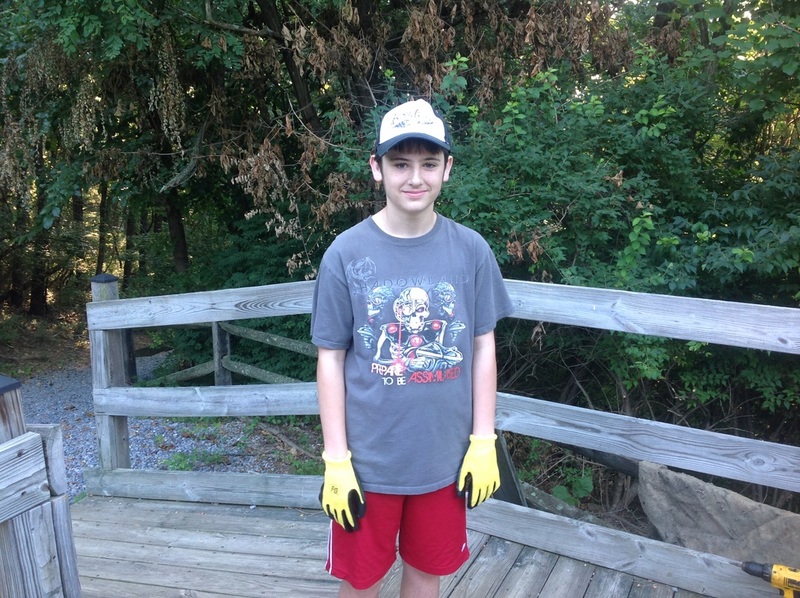 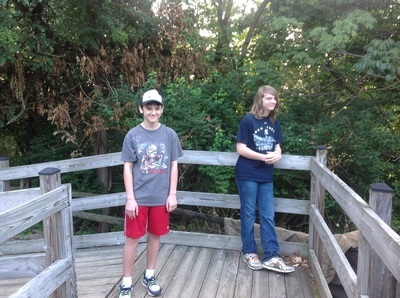 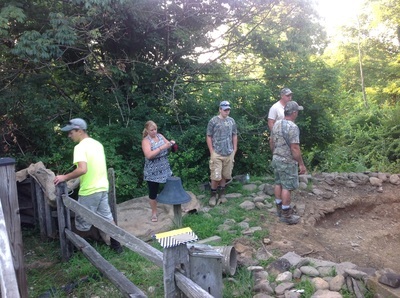 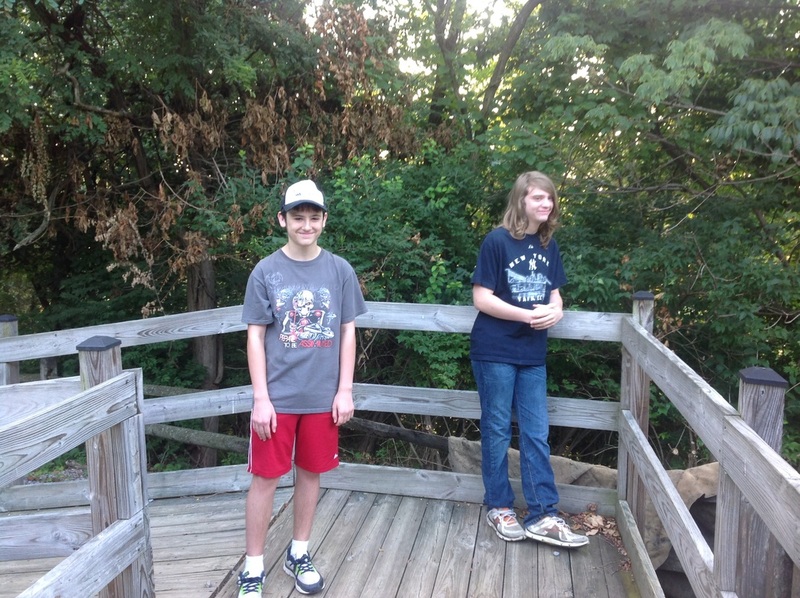 In July 2015, Brandon Thomas wrapped up his Eagle Scout Project at the Roundhouse at Fairview by giving our pond a new face-lift. It was in desperate need of attention, including needing a new liner and landscaping. 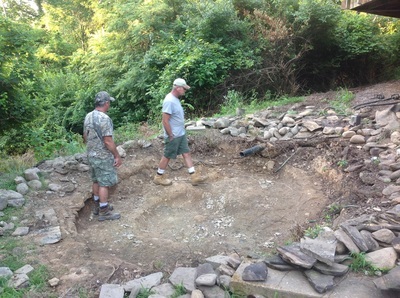 With help from some of his scouting friends, adults, and Waynesboro Construction Co., he did one heck of a job! Many thanks to Brandon, his family, and friends, for assisting with this project! 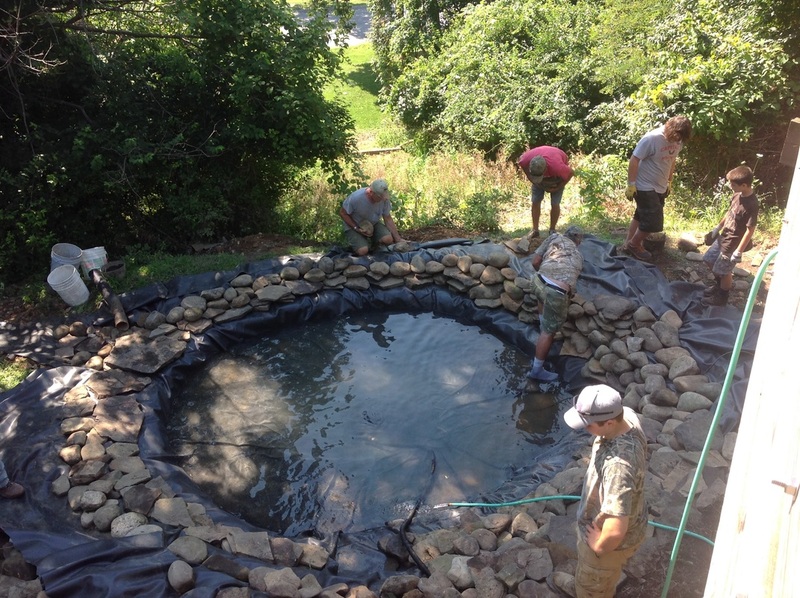 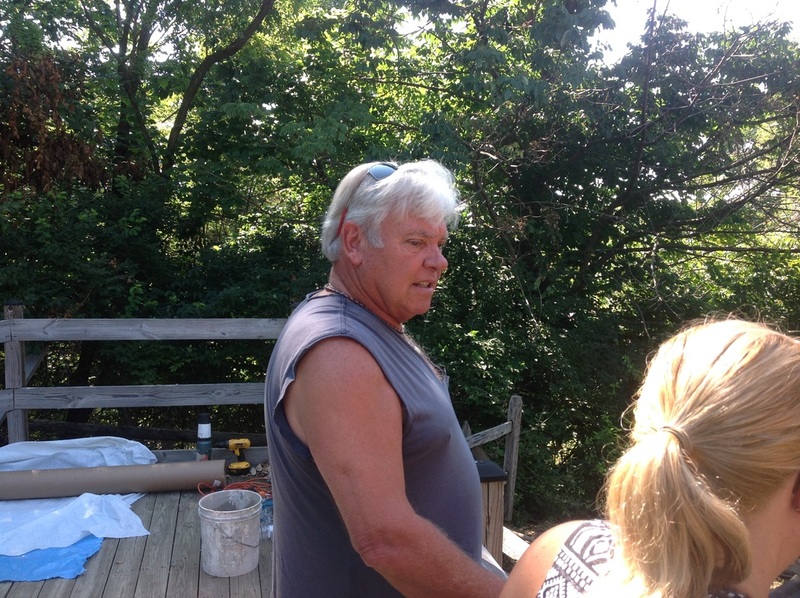 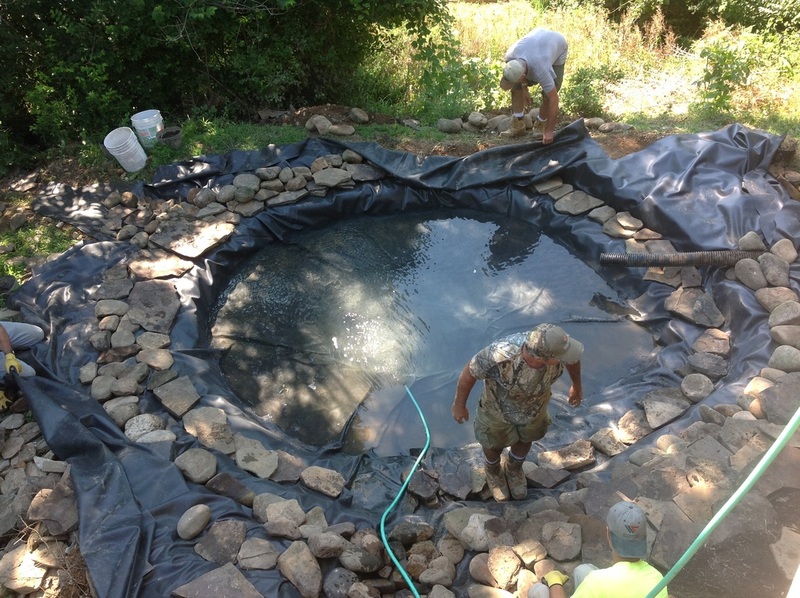 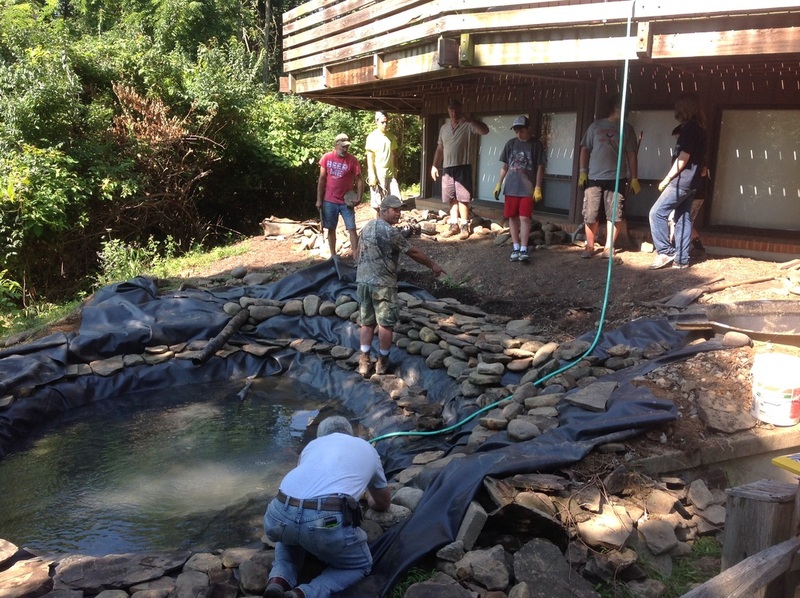 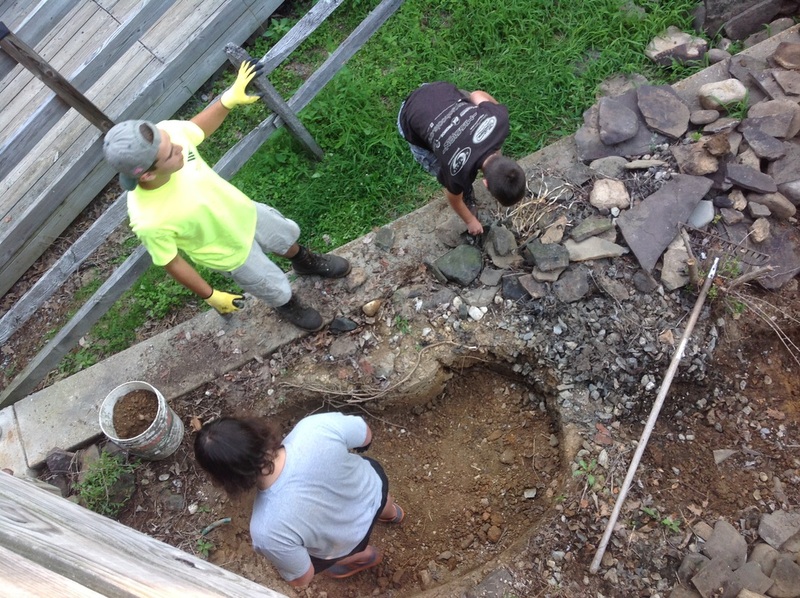 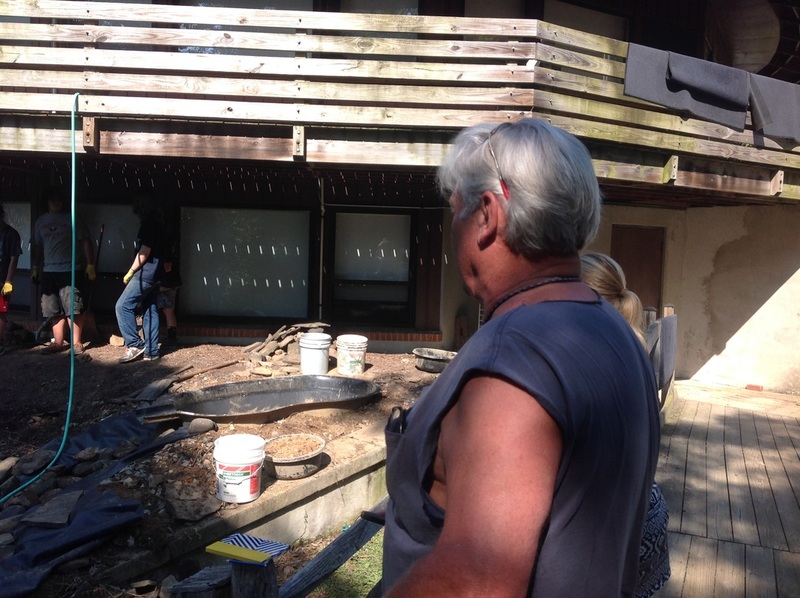 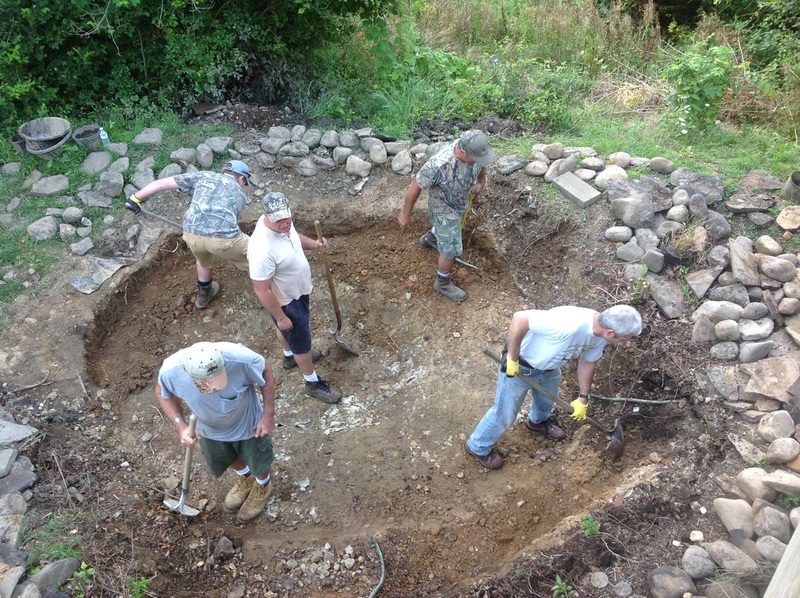 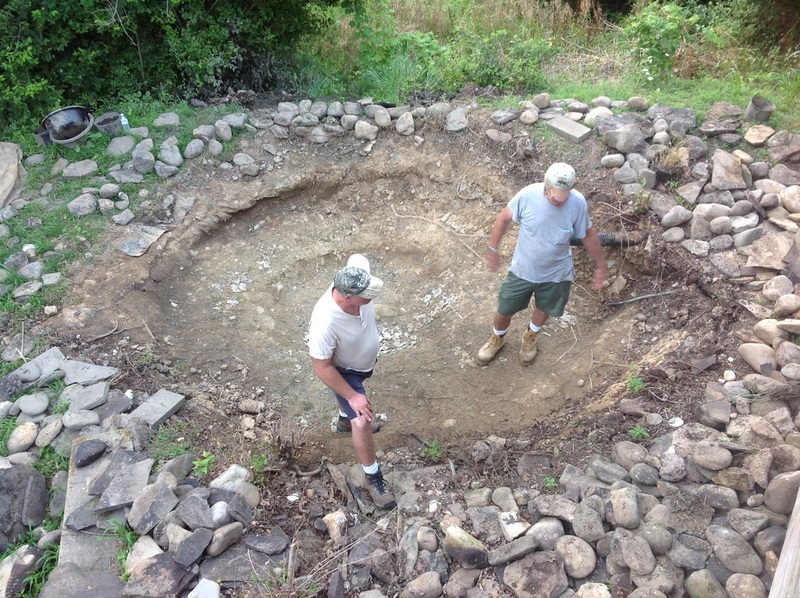 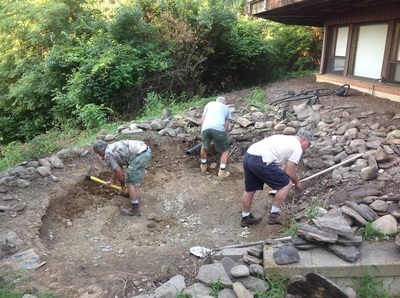 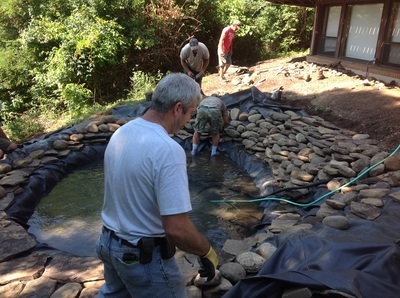 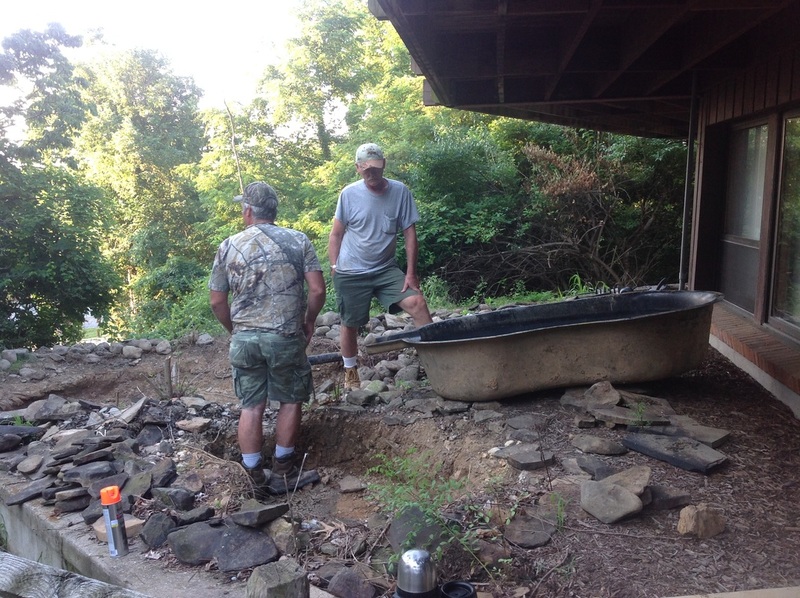 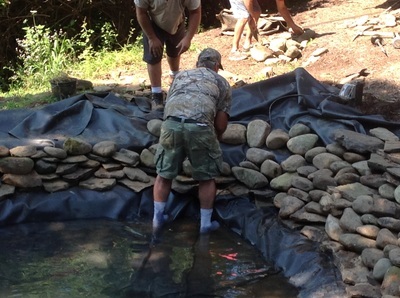 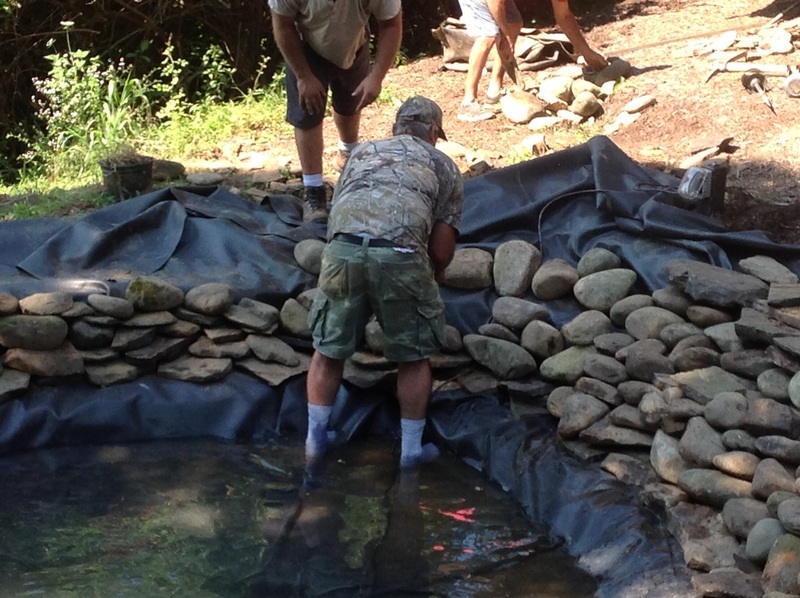 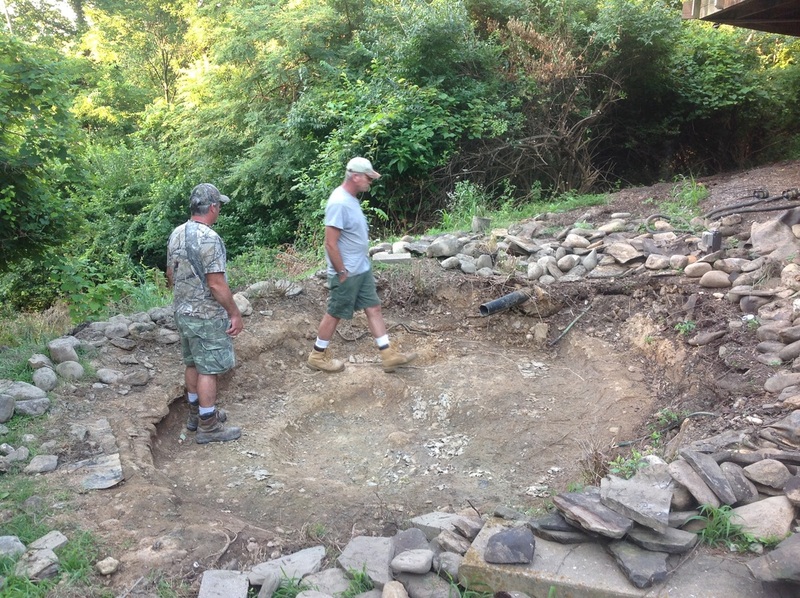 The pictures below give you some insight into the work that was done on this pond. 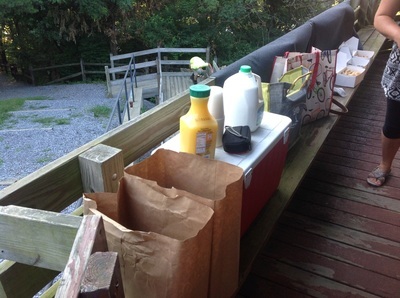 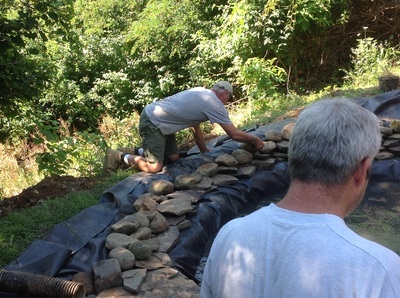 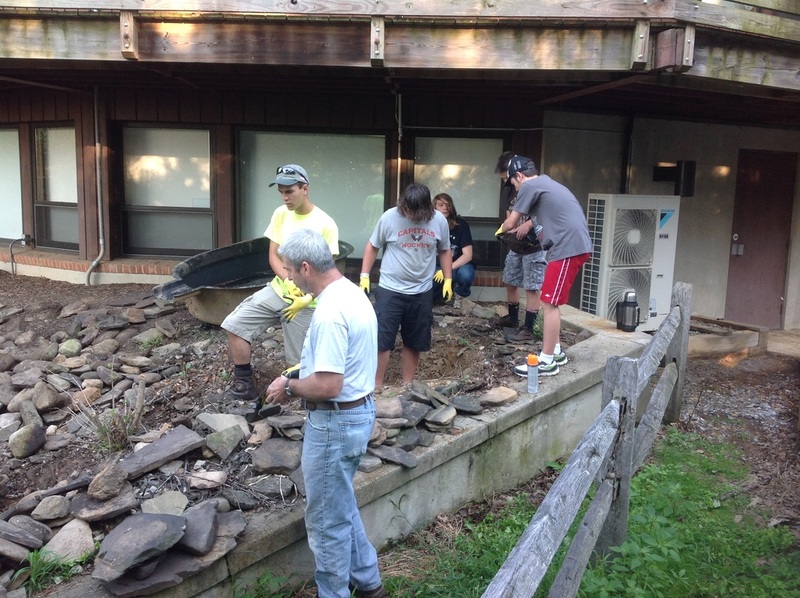 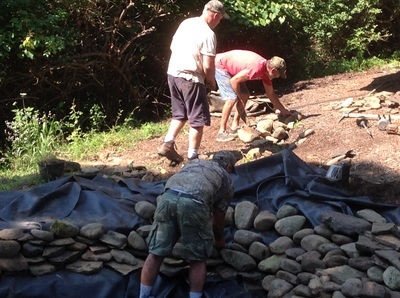 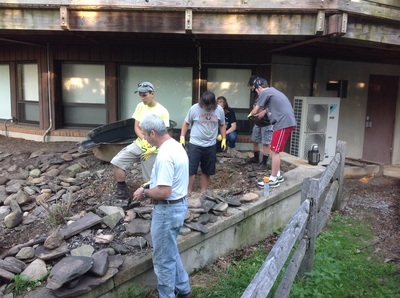 We continue to work with prospective Eagle Scouts in the Tri-State area and ask that you call 301-766-8138 if interested in completing an Eagle Scout Project at Claud E. Kitchens Outdoor School at Fairview.